What is stopping you from Blogging? 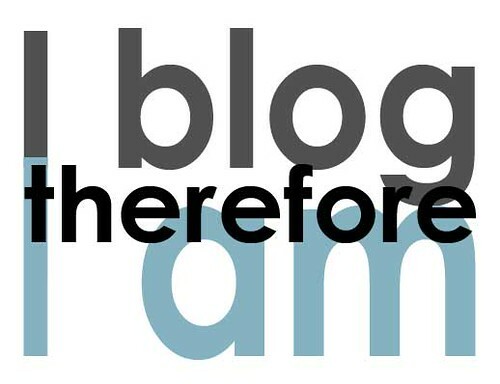 Posted byJulian Summerhayes	 January 13, 2012 Leave a comment on What is stopping you from Blogging? How many firms have a blog? Below is a powerful video of Seth Godin and Tom Peters being asked about the importance of blogging. If you can spare the time, it is worth watching. Apart from anything else, you have the power to influence the conversation, place a stake in the ground, and distinguish your offering. Should you just wait until someone gets around to building one? For me the idea of creating a blog is to find value in the thought process of writing, develop my brand and, most importantly, build engagement. But your reasons may be entirely different. The thing is, if you want to engage with your audience and develop a following then what other means do you have? Even when people know of other platforms, procrastination still strikes you down. You have a bushel of ideas running through your mind. Not all of them can be turned into a blog post, but, given practice, you will find that your craft improves to the point where once you might have started with the regurgitation of case law, you look, instead, to the widest application to your followers, and, better still, how you add value to their lives. Next time the issue of blogging is discussed, ask yourself what is stopping you. Not the knowledge or ability to write. Yes they all have to be managed but it’s you who has the power to move beyond what you might do, to creating something that might just spread your message, and open a window to a much larger world than any website.